Nokia 8 User Guide PDF for Beginner's Guide - Congratulations for New Nokia 8 Android phone. If you are new with this device, we have a complete guide free for you. Get Nokia 8 user guide here, from beginners until an advanced to mastering Nokia8. You can get a pdf file by download this manual and read tips and tricks in our blog. Nokia 8 phone is a high-end smartphone using Android Nougat and always get an update. Nokia 8 by HMD Global as the official company was announced on 16 August 2017 in London, England. HMD Global in 2018 will release Nokia 9 and Nokia 10 still a rumors. A first Nokia mobile phones with an exclusive mode, more secure, pure Android and stay up-to-date. In Dual-Sight mode, you can use both back and front cameras simultaneously (this is the great feature on this phone) for split-screen photos and video. On your Nokia 8, Tap Camera. To switch to the video recording mode, tap in the camera viewfinder. Tap Go to menu > Live broadcast account. Select the social media account you want to use to do Live broadcast. Tap the video recording button to start live streaming. The livestreaming camera on Nokia 8 notice a Live icon in the top corner. 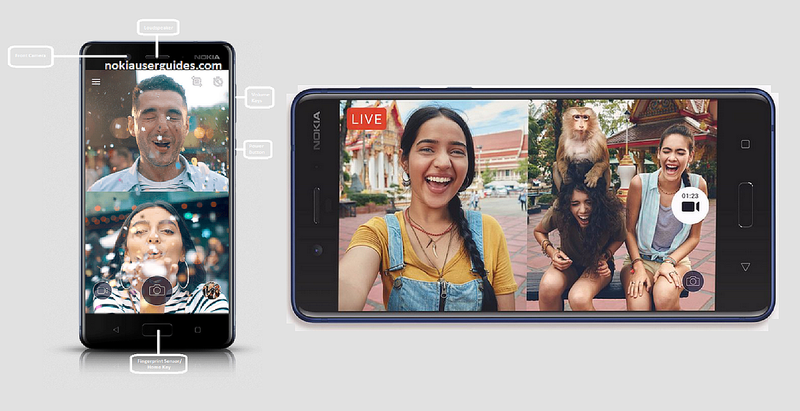 You can split-screen videos using the Dual mode streaming on Facebook or via YouTube directly from the Nokia 8’s camera app. The big change of Nokia 8 is a better class selfie camera and could streaming YouTube easier and more functionality to split video or photo. Get started using Nokia 8 the official help and support site especially for Nokia 8 and complete with tutorial for new Nokia phones. 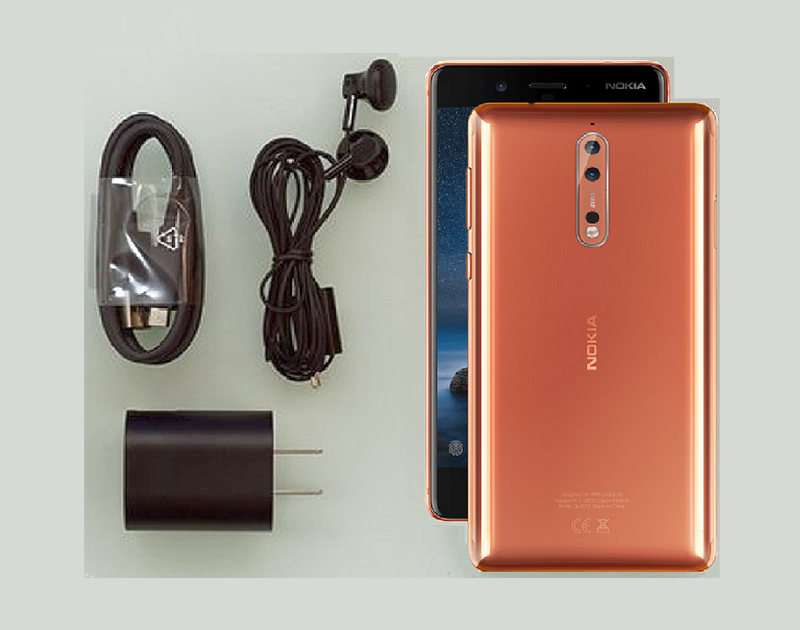 By read the Nokia 8 user guide you will learn all inside of this phone such as keys, parts, how to insert or remove SIM or memory card, learn the right way to charge your phone and switch on and set up your phone until ready to use the top features. The basics help Nokia 8 manual are personalize your phone, learn to open and close an app, read the notifications, control volume, take a screenshots, see battery life, tips to save on data roaming costs and more how to connect with your friends and family. Read and download full Nokia 8 User Guide PDF the user manual instruction from official Nokia phones full guidlines. 2. Unlock your phone and Tap Camera. 3. Then Tap photo camera and choose a Manual Mode. 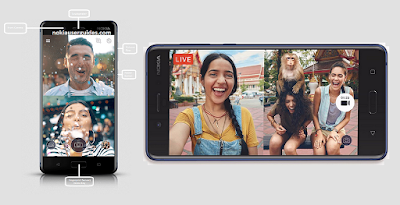 Nokia 8 let's you as a professional video camera by use a Live Bokeh mode. On Nokia 8 tap Camera. Tap camera and take aim and focus. Tap the shutter button photo camera. Select the photo you just took, you can see it in the bottom right corner. Tap Bokeh Editor to edit your photo. Congratulation, the Live Bokeh mode succesfully done. In the event that there is a memory card in your telephone, and your telephone memory is topping off, spare the photographs you take and recordings you record to the memory card. Tip: For the best video quality, record recordings to your telephone memory. In the event that you record recordings to the memory card, it is prescribed that the microSD card you utilize is a quick 4– 128GB card by an outstanding producer. Tap menu > Data stockpiling. View photographs and recordings on your telephone. Need to remember those imperative minutes? Would you like to see your photographs or recordings on a bigger screen? Move them to your PC. You can utilize your PC's document director to duplicate or move your photographs and recordings to the PC.